H&T Presspart is the world’s leading manufacturer of MDI canisters, and so a key partner to the world’s large pharmaceutical companies working in respiratory drug delivery. We offer a complete range of MDI ‘cans’, designing them for optimum compatibility with your chosen valves, actuators and drug formulations. As one of the three key components for inhalation drug delivery for asthma and COPD, our MDI canisters comply with all relevant pharma standards and regulations. We make the cans through deep-drawn manufacturing, and as well as standard sizes, we can provide custom solutions for size and treatment, in both aluminium and stainless steel. We manufacture 75% of the world’s MDI cans a year at our plants in Blackburn, England and Marsberg, Germany. 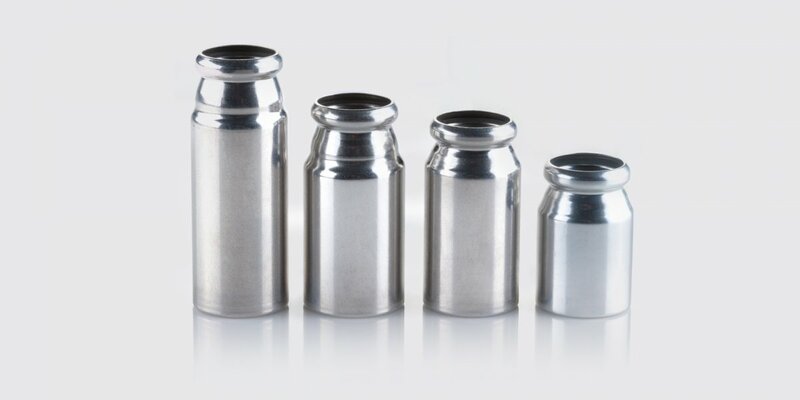 Our standard canisters are 10ml, 14ml, 17ml, 19ml and 22ml, and we can design and manufacture specialist smaller cans, sleeved cans for lower dosing, and cans to fit all valve sizes, including gasket and o-ring sealed valves. Our standard thin-walled aluminium cans are suitable for use with CFC propellants, and we’ve also developed stainless steel and thick-walled cans to withstand the higher pressures associated with HFA propellants. 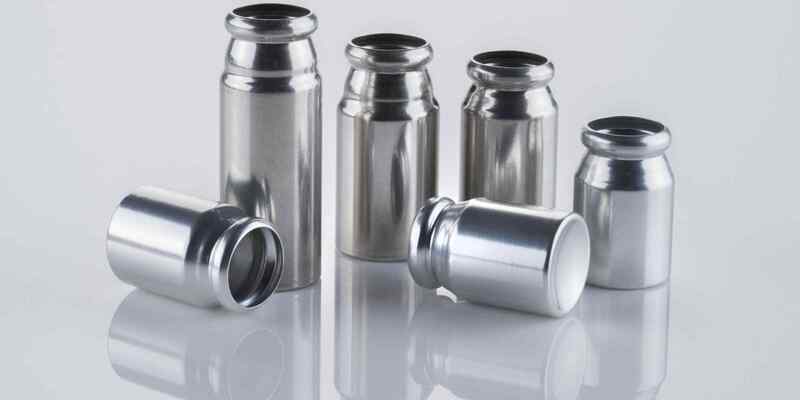 You can choose aluminium thick-walled canisters when coating is required, ensuring the strength needed for filling and crimping.